Livedrive is a cloud storage platform that is targeted towards businesses, resellers, and individual consumers. Livedrive creates a personalized cloud storage system for each user to best serve its data storage needs. Livedrive offers unlimited storage, so users can upload as many files as needed without the worry of using too much space. Livedrive offers a range of user-friendly features that enable businesses to streamline their information into one easily accessible place. The online backup feature automatically backs up information to the cloud database, and offers a restore function to replace any information that has been moved. The cloud storage system is compatible with FTP, WebDAV, and SFTP so businesses can easily set up their own FTP servers in less time than traditional means. 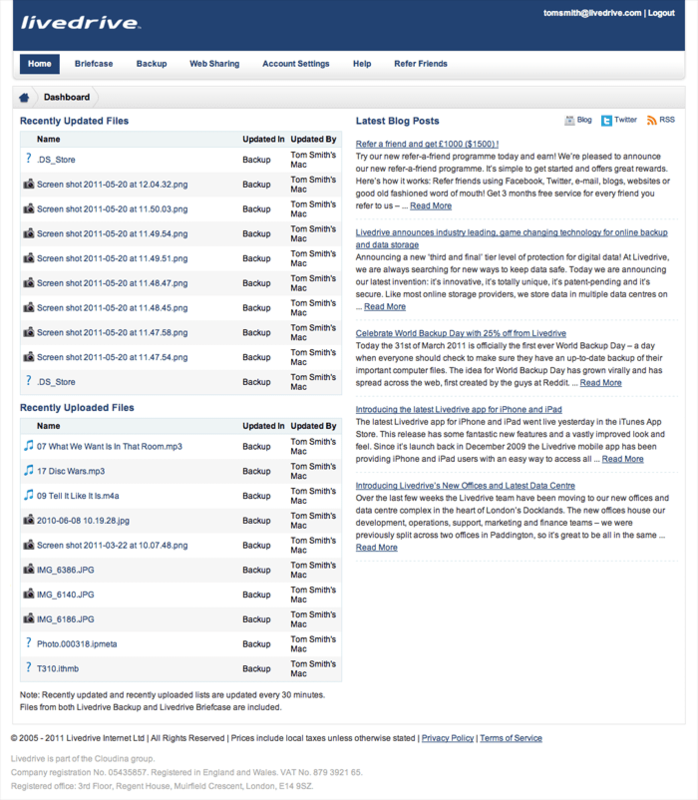 Livedrive also offers syncing and web sharing, which allows businesses to sync files from multiple computers and share this information over the internet through a customized portal. Livedrive also provides collaboration between users and computers, so files from all users are available on each machine. The British retailer PC World used Livedrive to create a cloud-based music storage service for Apple device users. The service became so popular that it oversold Apple’s own music locker. Named iPad Media Streaming, the service allows users to stream media such as music, photos, and videos from any computer to the user’s iPad. Livedrive helped PC World grow and develop its product by offering it a powerful and safe cloud storage option customized to its needs. Learn everything you need to know about Livedrive. Our experts will reach out to you shortly.